Serving others and celebrating the Lord in all He has given to us! We’re happy you could visit us! Learn more about our parish community! It is our hope that if you are in the local area you will stop in to see us. We are a vibrant community of all ages, with parishioners from various backgrounds. Our parish is located in the town of Kirtland, an eastern suburb of Cleveland. As you browse through our website, we hope you will enjoy getting to know us and seeing what we are all about. Click here to register for FORMED, the “Netflix” for Catholics. Watch, listen, read and study for FREE! Saturday, May 4th 10 am Our very own John Grazia will be ordained as a Permanent Deacon at the Cathedral of St. John the Evangelist. All are welcome to attend this public event. Sunday, May 5th 11 am mass John Grazia will celebrate his first mass as a Deacon. Please join us, with a special reception following in Hanson Hall. 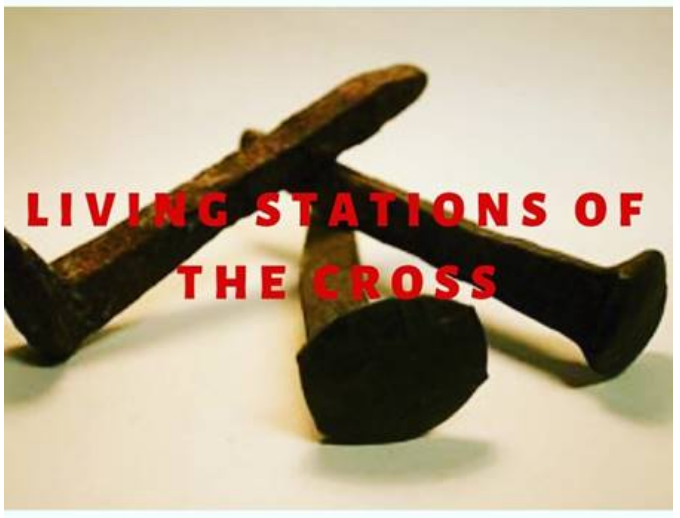 Youth Group Living Stations Make plans to join us on Good Friday, April 19th at 7 pm in the church for Living Stations of the Cross. Are your little ones wiggleworms during mass? It is so wonderful seeing your beautiful families at Mass! Though it’s not always easy, thank you for making the effort to bring your young children. It is important that they are there. Help keep kids focused and calm, with a Mass Bag from the Gathering Area. Grab a bag on the way in. Mass Bags are complete with a book, coloring book, crayons, stickers and goldfish crackers! Please return at end of Mass so they can be restocked as needed. Enjoy! Remember to RECYCLE! Give us your paper and cardboard. This includes: wrapping paper, catalogs, cards and packaging (paper) and boxes. Flatten all cardboard boxes before placing them in the bins. The funds we receive for recycling are used for our Youth Ministry programs. Eucharistic Adoration follows 8:30 am mass until 10 pm each Monday. Please consider signing up for one hour in worship each Monday. Call Debbie at the office and let her know your availability. Children’s Liturgy of the Word needs YOU! Please consider helping during 11 am mass. Lead our youngest parishioners through simple age-appropriate lessons each Sunday, and assist with the supervision of the children. This is a great opportunity for adults and middle school/high school youth to help these sweet youngsters learn the Word of the Lord. St. Philip Neri needs your help with our Hot Meals Program. Please consider sharing some of your time to serve hot meals to those in need. This is a wonderful ministry to do as a family and so rewarding for all. Call Debbie Lokar at (440) 256-1412 for more information. St. Vincent De Paul offers many opportunities to help others. Call Dee at (440) 256-1412. Donations by appointment on Wednesdays and Fridays. Consider your legacy and the legacy of the Catholic faith. You can make a difference in the future of our parish for generations to come by joining the Divine Word Legacy Society. You may contribute a one-time gift or a gift from your estate in the form of a will, trust, beneficiary of a life insurance plan or gift of an IRA.